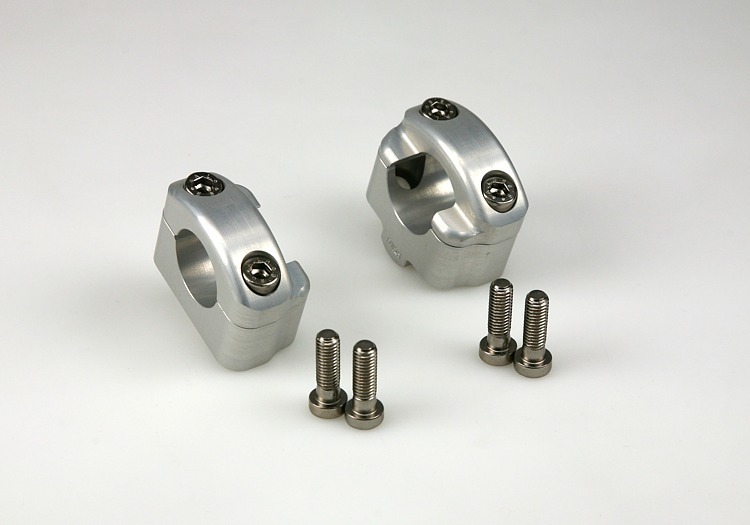 Universal adaptor clamps to attach 28.6mm bars. Screwed into the handlebar mount. 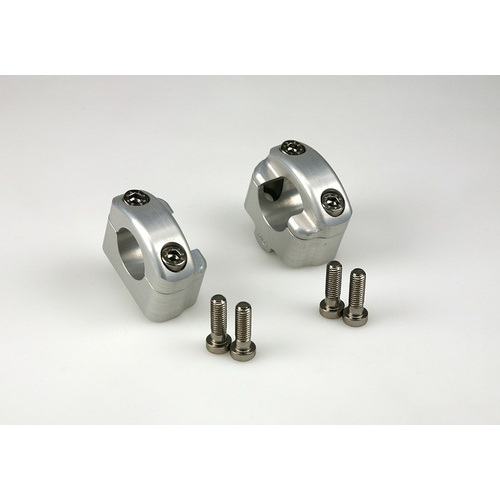 CNC machined from billet aluminium, they result in an increase in height of 25mm and come in silver or black.